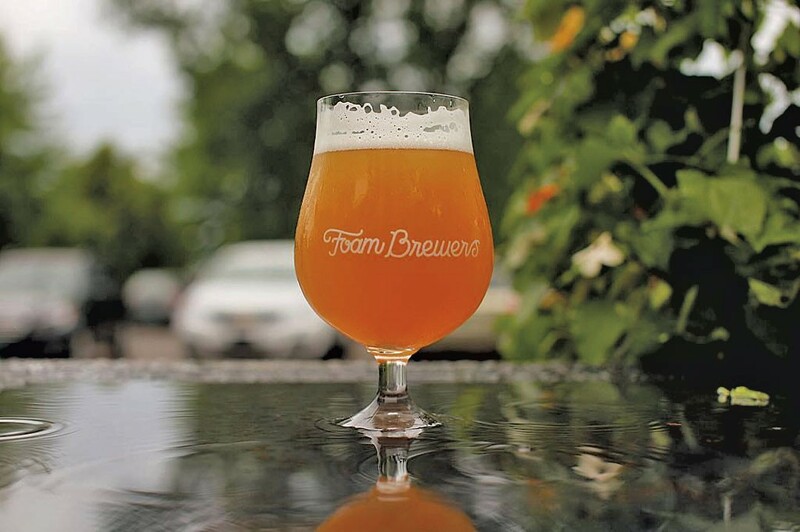 To kick off Vermont Brewers Festival weekend, Foam Brewers hosts its second annual celebration of wild ales. Sample funk-forward suds from an all-star brewery lineup that includes the Alchemist, Bissell Brothers Brewing, Crooked Stave Artisan Beer Project, Hill Farmstead Brewery, SingleCut Beersmiths and others, along with eats from Farmers & Foragers, Maudite Poutine and Sweet Sound Oysters. Not convinced? Soule Indomitable, the Renegade Groove and DJ Fattie B will be pumping out tunes for your booty-shaking pleasure, and it's the only place to score a bottle of House of Fermentology's Crushed Dot Cuvée, a wild ale fermented and aged on grapes from Shelburne Vineyard. Funk on the Water: Thursday, July 20, 6 p.m.-1 a.m., Foam Brewers, Burlington, $5, plus cost of food and drink. Info, 399-2511. Dinner and a Movie: Sup on mussels, roast leg of lamb and berry pavlova prepared by Ariel's Restaurant chef Lee Duberman, then stick around to view the 2016 comedic drama Hunt for the Wilderpeople. Proceeds benefit Brookfield Community Partnership. Thursday, July 20, seatings at 5:30 and 6 p.m., Old Town Hall, Brookfield. $30, reservations required. Info, 276-3939. Smoked Meats dinner Pop-Up: Local meat man Scott Danforth serves up smoked pork, hand-cured ham, Cuban sandwiches, housemade fermented veggies and salads. Local beer specials and cocktails. Friday, July 21, 7-11 p.m., Beau Butchery + Bar, Montpelier. Cost of food and drink. Info, 225-6447. Pig Roast: Slap some sauce on a plate piled with pork, chicken, hand-stuffed sausages and a plethora of sides. Saturday, July 22, 4-8 p.m., St. Johnsbury Athenaeum. $20 per person, $50 per family. Info, 745-1393. The Maine Event: In anticipation of the Vermont Brewers Festival on July 21 and 22, Hotel Vermont welcomes a half dozen Vacationland breweries including Maine Beer, Oxbow Brewing, Allagash Brewing and others for a tasting soirée with eats from Juniper chef Doug Paine. Thursday, July 20, Hotel Vermont, Burlington. $37.50, ages 21+. Info, 863-5966.